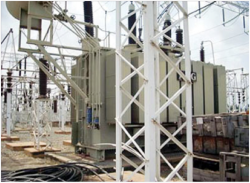 The Federal Government has offered prospective investors in the power sector a five-year tax holiday to serve as an incentive to woo them, just as the Bureau of Public Enterprises recently in Lagos began road shows to enlighten investors on opportunities in the sector. According to the BPE, another incentive for investors in the power sector is the World Bank’s instruments to insure their investment against political risks in the country. The agency also assured investors of a cost-reflective tariff system and pledged to resolve all labour issues before the handover of the Power Holding Company of Nigeria’s successor companies to core investors. The investor meetings come ahead of a February 18 deadline for the expressions of interest in 11 distribution companies, four thermal generating firms and two hydro power stations in the country. Speaking at the Lagos event, the Director-General, Bureau of Public Enterprises, Ms. Bolanle Onagoruwa, said, “The idea of this is that it enables investors to gain some confidence. Even if we don’t complete it before the handover of government, no harm is done. The eleven distribution companies, which investors are expected to express interest in include the Abuja Electricity Distribution Company Plc; Benin Electricity Distribution Company Plc; Enugu Electricity Distribution Company Plc; Eko Electricity Distribution Company Plc and Ibadan Electricity Distribution Company Plc. Others are the Ikeja Electricity Distribution Company Plc; Jos Electricity Distribution Company Plc; Kaduna Electricity Distribution Company Plc; Kano Electricity Distribution Company Plc; Port Harcourt Electricity Distribution Company Plc; and Yola Electricity Distribution Company Plc. Investors are also expected to express interests in four thermal generating stations, namely, Ughelli Power Plc, Geregu Power Plc, Afam Power Plc, and Sapele Power Plc. Two hydro power stations – Kainji Power Plc, including the Jebba Power Station, and Shiroro Power Plc, will be given out to private investors under a concession arrangement. Also, speaking at the forum, the Minister of State for Power, Mr. Nuhu Wya, said that the forum was organised to showcase the numerous opportunities available in Nigeria’s power sector. According to him, the forum is also to share with the investors, the precise details of the Federal Government’s privatisation plans and strategies for the divestiture of PHCN successor companies, and other assets.